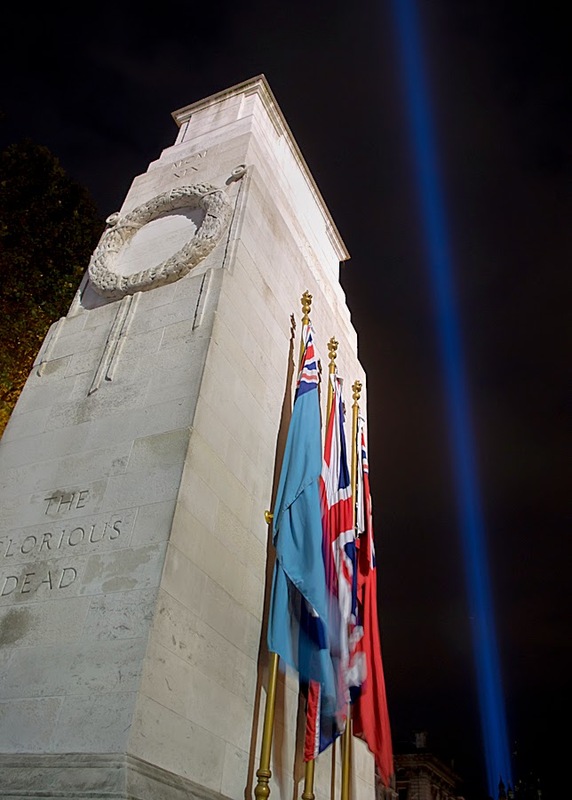 The "lights out" event concluded a day of ceremonies marking 100 years since Britain entered World War One. 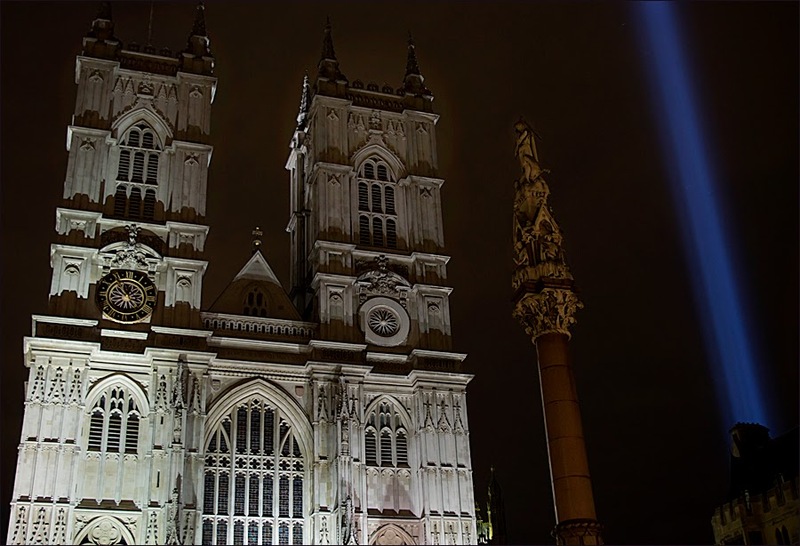 Across the nation people were invited to turn off their lights for an hour until 23:00 BST, the time war was declared in 1914. London went dark for an hour. Unannounced, a mysterious blue beam appeared in the sky at dusk and for seven nights, it was visible across the city between sunset and sunrise. London landmarks were seen against the light. From Jubilee bridge, South bank. Westminster Abbey from Broad Sanctuary. 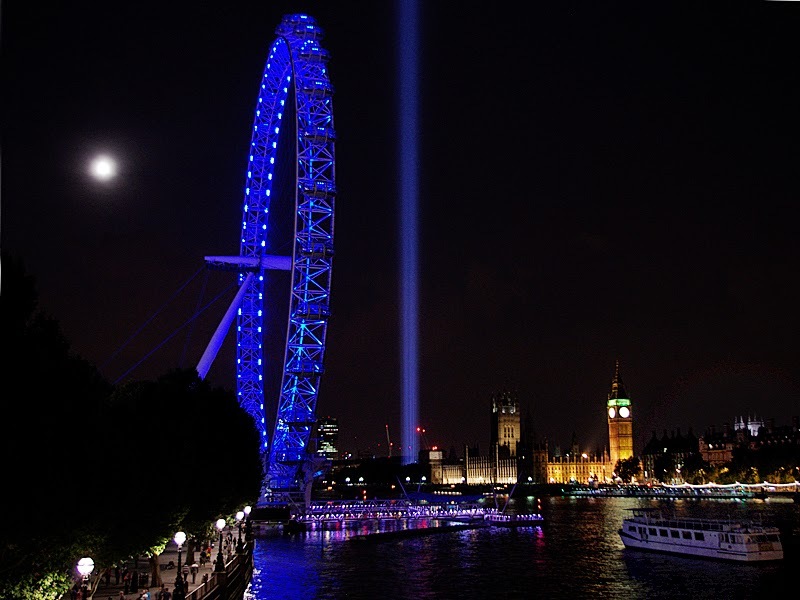 Spectra was an art installation by Ryoji Ikeda, produced and presented by Artangel. 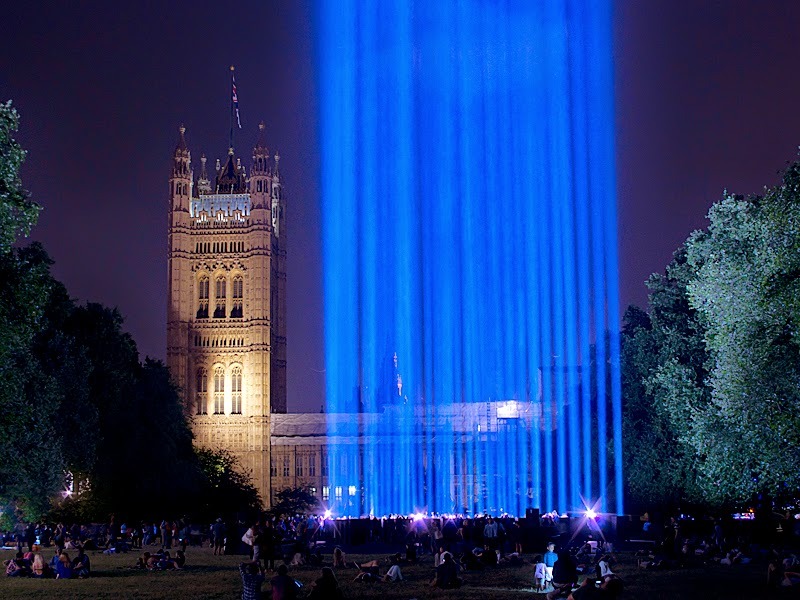 It consisted of a twenty-metre grid containing forty-nine searchlights installed at Victoria Tower Gardens. People could walk within the grid, experiencing a specially composed soundtrack by Ikeda.